Unlace both skates until they are very, very loose. When oven is at 175*, place one whole skate on the cookie sheet and put it in the oven. No need to take off your wheels or laces or anything. Bake for 6 minutes, but keep the oven light on and check them visually at 4 minutes to make sure nothing looks melty or like it’s falling apart or coming loose from its stitching. Be careful taking the skate out of the oven. 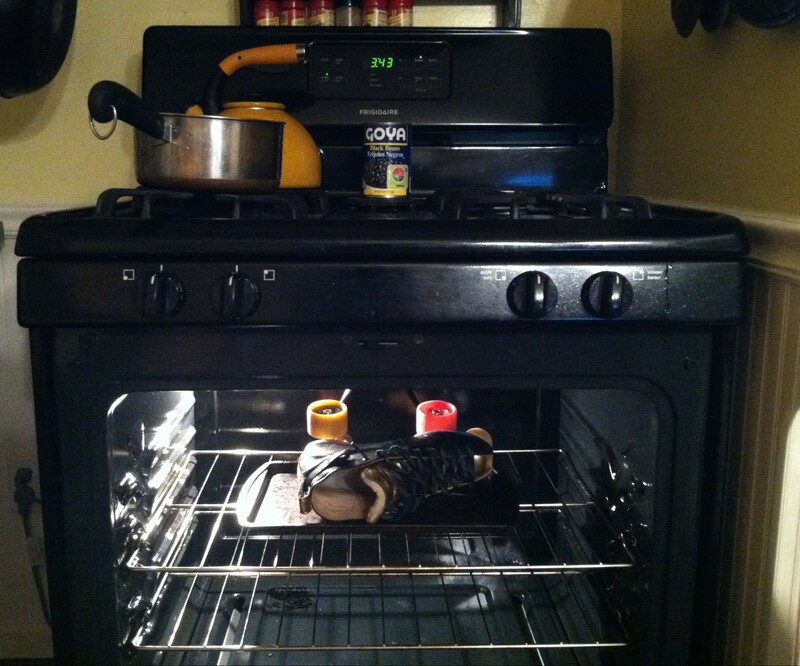 Use oven mitts or make sure to grab only the leather parts (don’t bake cheaper plastic skates). The eyelets will be very hot. Make sure you’re wearing socks. 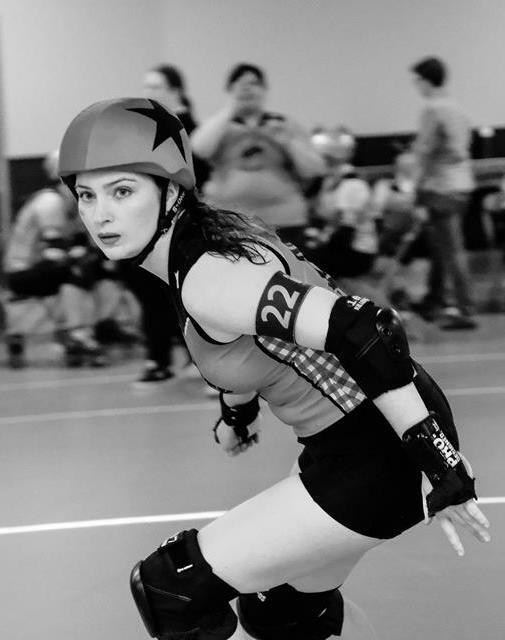 Put your foot in the skate and lace them tightly, but make sure your skate seems sound (don’t pull so hard that the eyelet pops, for instance). Press against the heat moldable parts and try to maintain skate stance for the first couple of minutes. Stay in your skate for 15 minutes. You can then take the skate off. Re-lace the skate tightly for it to cool overnight. I don’t recommend skating in them the same day you mold them. Repeat with your other skate. Drink wine. But this is a real-person guide and I don’t think you own a skate oven. A hair dryer does work — especially if you just have one or two problem areas, but otherwise like the original mold of the boot. Does putting your nice, new skates in your kitchen oven put them at risk for untimely death? Probably not, but it’s a risk. What isn’t.